A health coach is an individual who advises others (usually patients) on a person-to-person basis about the requirements for achieving and maintaining positive health transformations. A coach is defined as someone who provides advice and guides another individual through the best practices involved in doing something. Similarly, a health coach, which is a recent terminology, is an individual who advises others (usually patients) on a person-to-person basis about the requirements for achieving and maintaining positive health transformations. Another major goal of these health coach professionals is to promote the concept of health coaching and integrate it with mainstream healthcare practices. This is the major aim of the International Association for Health Coaches. The certificate in health coaching program at Georgetown University, for example, provides training to become a health coach. Since it is the job of health coaches to promote good health practices among their clientele, it also includes helping individuals change their diet in a gradual way, from a non-healthy one to a healthier one. More importantly, their constant source of motivation helps clients stick to a healthy diet, instead of reverting back to an unhealthy one. Like a personal trainer for physical exercise, a health coach helps one set specific goals that target their health. A study performed by the Oregon Health and Science University mentions the cost effectiveness of health coaching. They suggest the effectiveness of a certain model of health coaching through motivational interviewing. 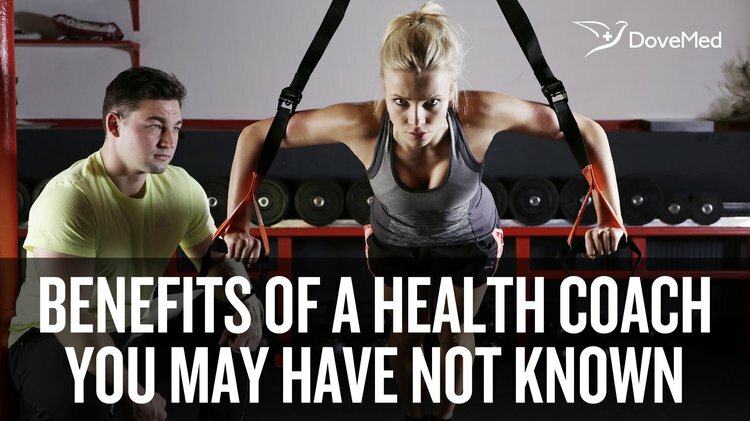 The study showed how health coaches are actually health promotion specialists, rather than expensive and specialized therapists. These promotion specialists help in motivating an individual in setting achievable targets for positive health benefits. They are also rather informal compared to other similar professionals, and this is suggested to be an advantage over others because clients feel more comfortable working with them. Health coaches are said to be greatly beneficial to patients having chronic diseases such as diabetes. Studies show that diabetic patients, when involved in integrative health coaching, were found to adhere better to medication and be more accountable for their diet and physical activity (to themselves), due to increased social interactions. Studies also show how the motivational interviewing received during health coaching makes diabetic patients feel less depressed, thus having a positive effect on their glycemic levels. It is noted that health coaches who are trained in the methods of health coaching and also possess professional psychological knowledge tend to provide increasingly better health coaching. Health coaching, or wellness counseling, is increasingly gaining prominence as a cost effective form of achieving positive health achievements for individuals suffering from addictions, chronic diseases, and other medical health related conditions. Starr, J. (2007). The coaching manual: The definitive guide to the process, principles and skills of personal coaching. Pearson Education. Palmer, S., Tubbs, I., & Whybrow, A. (2003). Health coaching to facilitate the promotion of healthy behaviour and achievement of health-related goals. International Journal of Health Promotion and Education, 41(3), 91-93. Wolever, R. Q., Dreusicke, M., Fikkan, J., Hawkins, T. V., Yeung, S., Wakefield, J., ... & Skinner, E. (2010). Integrative health coaching for patients with type 2 diabetes a randomized clinical trial. The Diabetes Educator, 36(4), 629-639. Wolever, R. Q., Caldwell, K. L., Wakefield, J. P., Little, K. J., Gresko, J., Shaw, A., ... & Gaudet, T. (2011). Integrative health coaching: an organizational case study. EXPLORE: The Journal of Science and Healing, 7(1), 30-36. Leveille, S. G., Huang, A., Tsai, S. B., Allen, M., Weingart, S. N., & Iezzoni, L. I. (2009). Health coaching via an internet portal for primary care patients with chronic conditions: a randomized controlled trial. Medical care, 47(1), 41-47. Hood, L., Lovejoy, J. C., & Price, N. D. (2015). Integrating big data and actionable health coaching to optimize wellness. BMC medicine, 13(1), 4.